MRC Global Elects Deborah Adams to the Board of Directors | MRC Global Inc.
HOUSTON, Oct. 31, 2017 /PRNewswire/ -- MRC Global Inc. (NYSE: MRC) announced today that Deborah G. Adams has joined MRC Global's Board of Directors. Ms. Adams, has over 30 years of management and operational experience at Phillips 66, an energy manufacturing and logistics company, as well as its predecessor companies. She has held a variety of roles including procurement, corporate strategy, commercial and business development, information systems and engineering. Her global experience covers the energy value chain with a heavy focus on both midstream and downstream. From 2014 until 2016, Ms. Adams served on the Executive Leadership Team at Phillips 66 as Senior Vice President of HSE, Projects and Procurement. From 2008 – 2014, she led the midstream operations of Phillips 66 and ConocoPhillips as the Division President of Transportation. 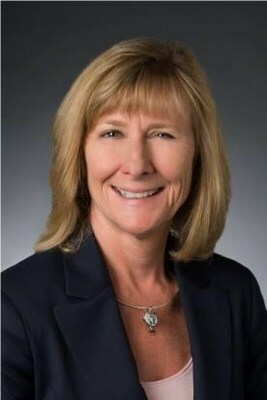 She has also held various leadership posts including leading the international refining business for ConocoPhillips as well as serving on several of ConocoPhillips' joint venture boards. Ms. Adams is also a board member for BakerRipley and serves her alma mater, Oklahoma State University, as a member of the Foundation Board of Trustees and on the Board of Governors. In 2014, Ms. Adams was inducted into the Oklahoma State University College of Engineering, Architecture and Technology Hall of Fame, and in 2015, the National Diversity Council named Ms. Adams to the list of the Top 50 Most Powerful Women in Oil and Gas. "I am pleased to welcome Deborah, a new independent director, to our board," said Andrew R. Lane, MRC Global's president and CEO. "Deborah's in-depth knowledge of the midstream and downstream businesses and her customer view of the procurement function are a valuable addition to our Board." Ms. Adams has been appointed to the Audit and Compensation Committees of MRC Global's Board. Headquartered in Houston, Texas, MRC Global, a Fortune 500 company, is the largest global distributor, based on sales, of pipe, valves, and fittings (PVF) and related products and services to the energy industry and supplies these products and services across each of the upstream, midstream and downstream sectors. More information about MRC Global can be found at www.mrcglobal.com.